As an exciting cross between a smoothie and ice-cream, this smoothie bowl will become your newest obsession. Bananas are the base for this dish, making it naturally sweet and healthy for digestion. 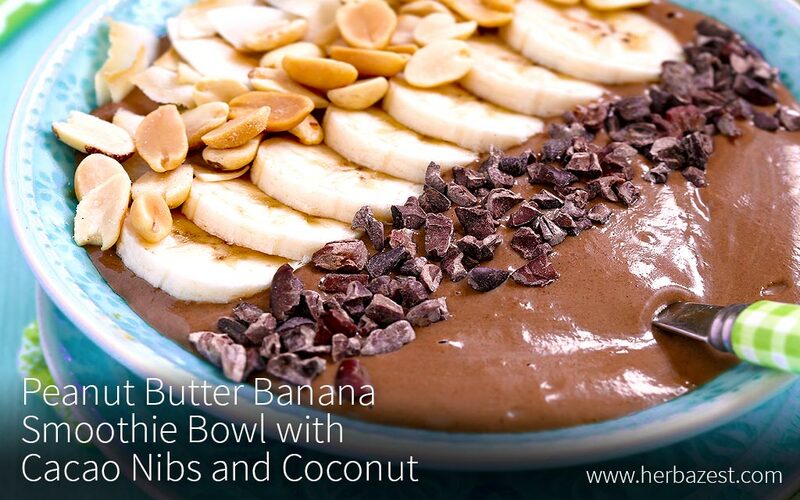 Peanut butter brings in its creaminess and nutty flavors along with healthy fats, while cacao turns this dish into a nutritious, chocolaty treat packed with medicinal compounds great for the brain. To balance the smooth textures, this recipe calls for crunchy, antioxidant-rich cacao nibs and toasted coconut flakes, both of which provide lots of dietary fiber.